In this competitive market, promoting your product or services is of utmost importance, no matter how good or unique they are. Today’s market is completely buyer-empowered and as a marketer, you should capitalize on every opportunity to connect with potential customers, invoke an interest for your offerings and build trust. Event marketing is such a wonderful option to promote you brand and it enables the customers to get a firsthand experience of your products. 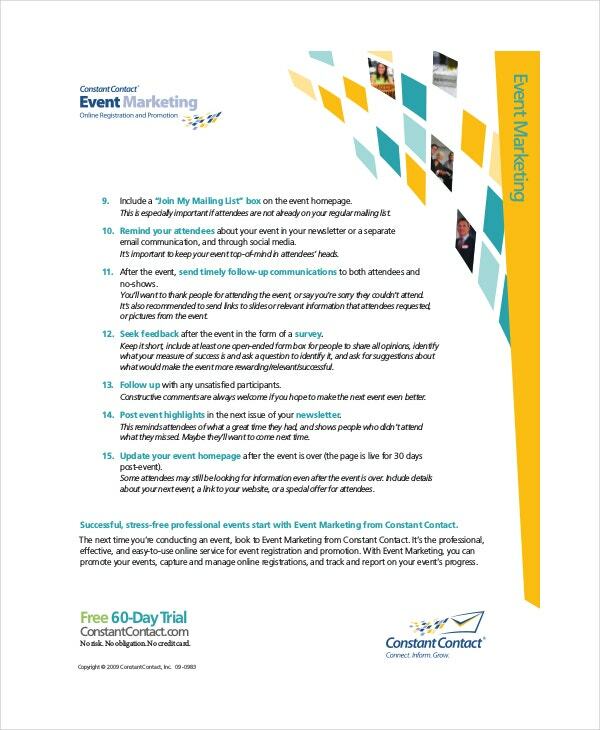 We have chosen the best 5 Event Marketing Templates that will help you put a better plan on the table. You can also see Marketing Template. 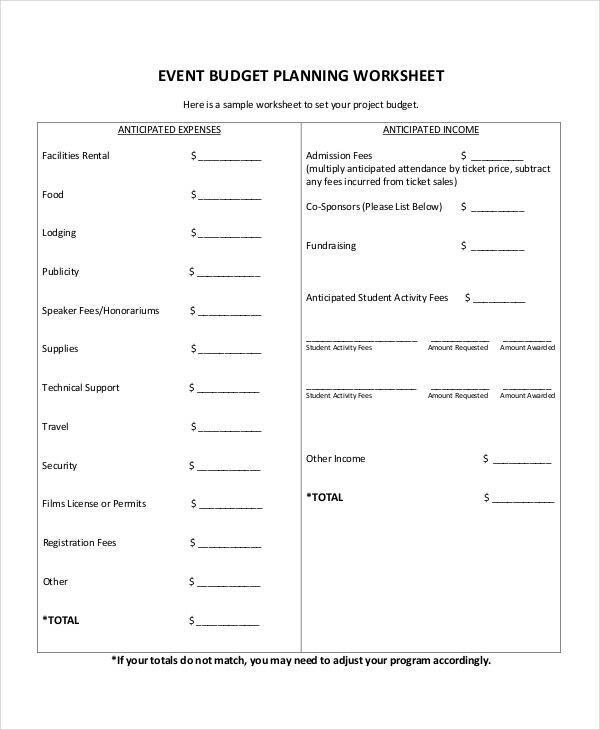 This is a simple and nicely organized template that fills the requirement of a good event marketing plan. It includes all major fields like target audience, agenda, marketing channels, success factors, etc. 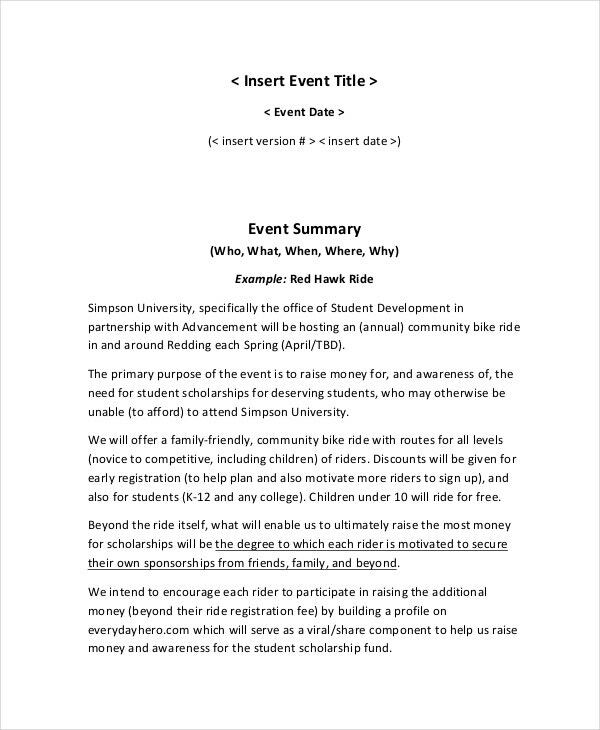 The template comes with a one-page format that is ideal Marketing Plan Templates for your event. It clearly differentiates all the costs to be incurred and helps you set the budget more effectively. It is also helpful for post-event financial analysis. Organizing an event and carrying it out flawlessly is not easy. There are so many tasks involved and keeping track of everything is necessary. 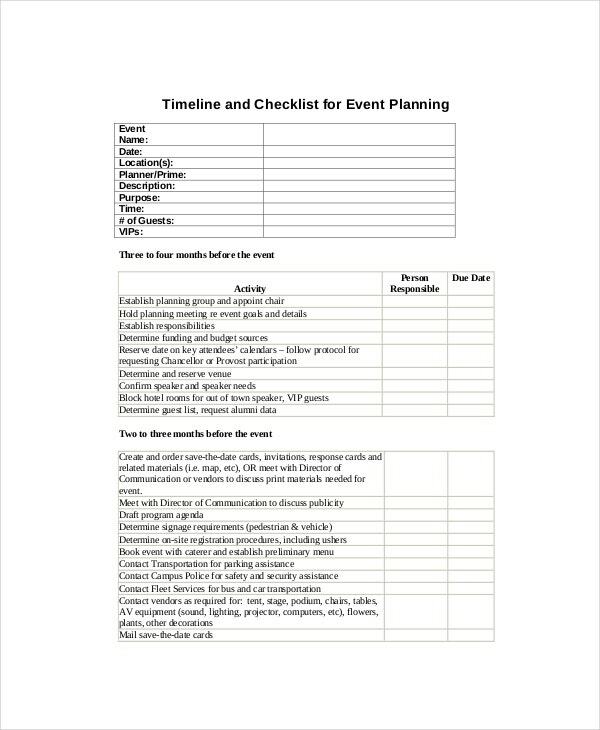 This template serves as an excellent checklist that includes all smaller or bigger tasks involved in an event. This is further customizable as per your preference. A lot of effort goes into organizing a successful event even weeks before the actual event date. From sending out initial flyers to making post-event payments, you need to keep track of everything. 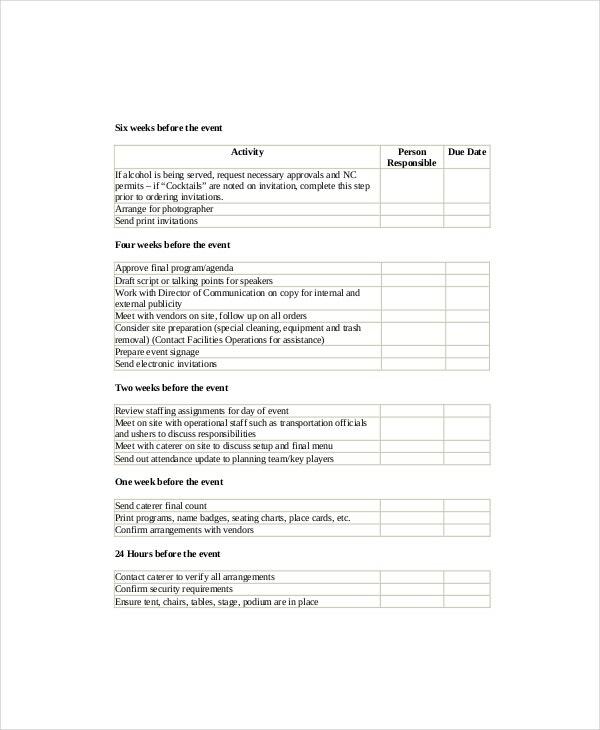 It’s a perfect checklist template that also lets you further add/remove items in the checklist. This beautifully designed template lists out all the best practices of this trade that ensures a rocking event and more audience. The template is designed by professional experts with years-long experience in this domain. Fun events help people to get some time out of their daily humdrum and they are more likely to better understand your products in a different fun-filled setting. You can employ a good speaker who can communicate with the audience and more effectively deliver your business’ objectives and values. Fundraising events, Travel Events, Interactive events are other amazing ideas of event marketing. > What Should you learn about Event Marketing? For organizing, hosting or even sponsoring an event marketing campaign you should make yourself familiar with all minute details of event marketing. From the pros and cons of such strategy to the process of making an effective plan, you need to learn everything. Certain important thing that you should learn are You may also see Social Media Marketing Plan Templates. Key strategies to promote your event online on social media, blog sites etc. How to manage a good virtual event. The benefits of following up with potential attendees of the event. 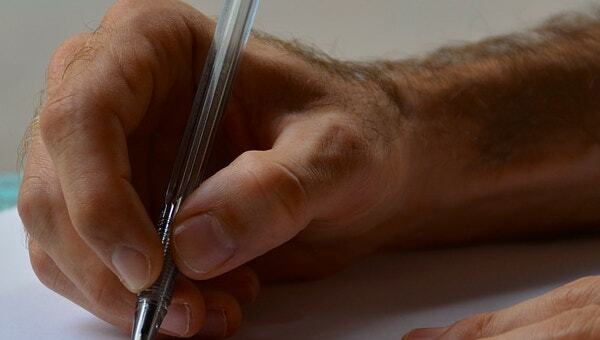 How to ensure a better return on Investment Reviewing customer feedbacks and post-event analysis. It is important to carve out an event marketing strategy that is up-market, cost-effective and can be campaigned both online and offline. The promotional event includes various activities that leverage all organizational resource engagements. So choose the best and suitable template for your business and lay out the cornerstone for a successful legacy ahead.